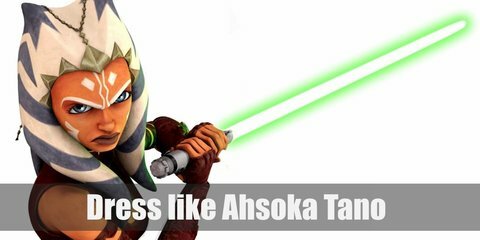 Ahsoka Tano prefers clothing that allows for great freedom of movement. She wears a red turtleneck dress, black leggings with triangular cut-outs at the side, red boots, and several arm bands. She is also known for her distinct white and blue headdress. 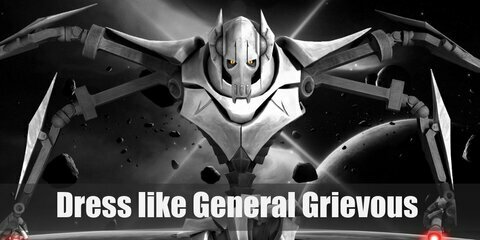 General Grievous red skin isn’t usually visible through his beige-colored armor and his legs are mechanical all the way. He has four arms, all of which can wield a lightsaber. 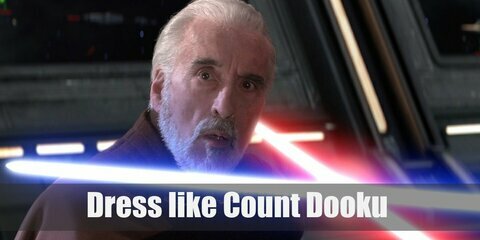 Count Dooku wears an all-black ensemble underneath a plain brown cape with simple clasps. He also brings along his red lightsaber wherever he goes. CC-224, or Cody, is a commander of the clone army during the Clone Wars. He was created under the image of Jango Fett and was trained to serve the Galactic Republic. Cody looks like any clone trooper. 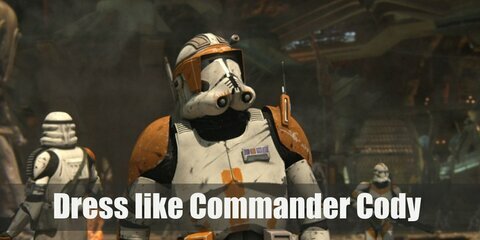 He wears a battle-worn white trooper suit with orange details. Like most Sith Lords, Darth Malgus looks formidable in an armored black ensemble. 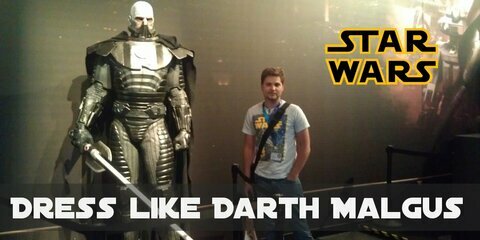 Fitted with advanced technology armor and a black cape, this is one dark warrior you do not want to cross. He also wears a black respirator, souvenir from a battle he fought. Mara Jade Skywalker had a very eventful life. She started out as an Emperor’s Hand to Palpatine but good thing she turned to the light in the end. 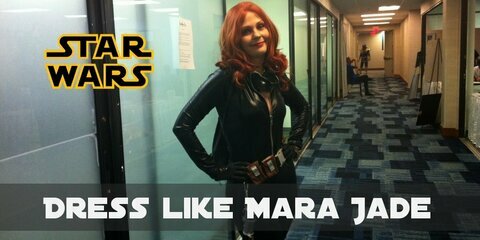 Mara Jade’s outfit is both fashionable and functional, befitting the valiant woman. She wears an almost black ensemble with a few brown pieces. 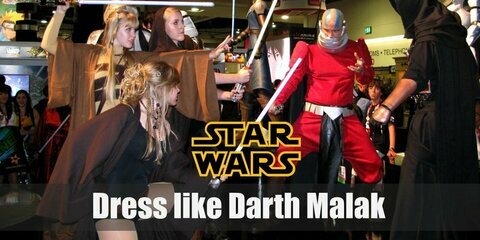 In some way, cosplaying Darth Malak could be tricky. The biggest challenge would be his unique neck piece, which is hard to find, so you would probably have to make it by yourself. It is a pretty rugged piece, in some kind of a dull grey color. 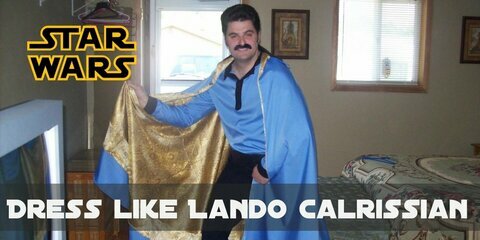 Compared to the most of Star Wars characters, Lando Calrissian costume looks pretty much ordinary. Lando pretty common pieces of clothes. 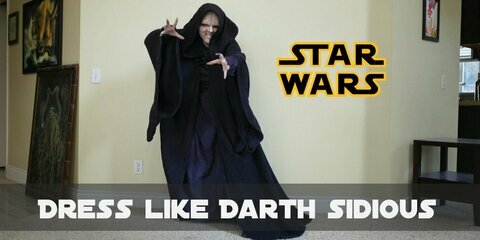 Cosplaying Darth Sidious would be pretty straightforward. This character is famous of his aged pale face. When it comes to clothes, a long loose cloak is the main piece. 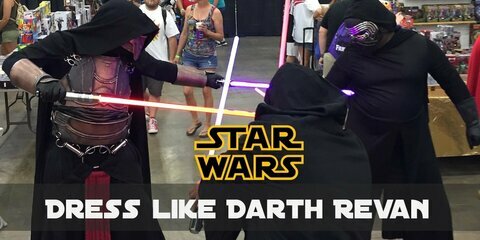 Darth Revan combines medieval pieces of clothes like cloak, leather armor, leather gloves and gauntlet bracelets. On the other side, his mask or helmet looks pretty futuristic. 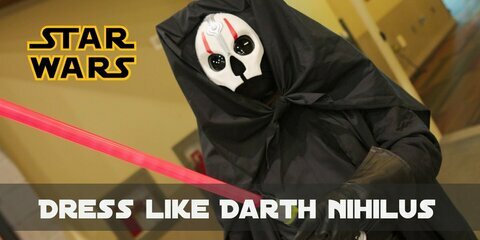 Like all mysterious characters, Darth Nihilus is completely in black, wearing a hooded cape, black tunic with wide belt, as well as loose pants, boots, and gloves. 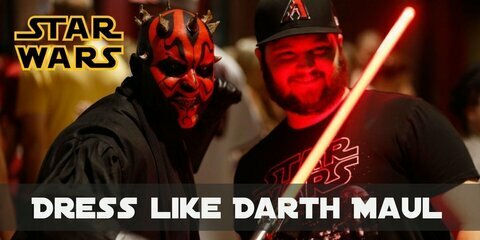 Of course, there is a red lightsaber as well. 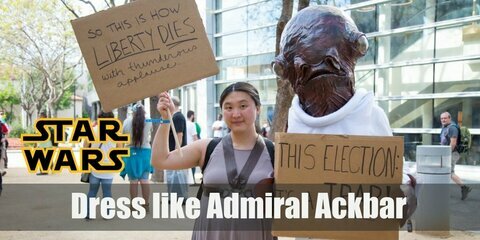 The most important thing in cosplaying Admiral Ackbar is to find its recognizable mask, characterized by large fish-like eyes. Other pieces of the costume shouldn’t be so difficult to find. This character wears a classic Star Wars military uniform. Aayla Secura is characterized by the outfit that follows her super-hot body. 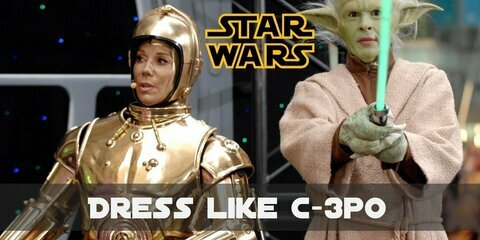 She is a curvy and athletic Jedi who prefer tight clothes. Some of her recognizable pieces are a single-sleeve crop top, tight pants, knee-high leather boots and belt with apron. 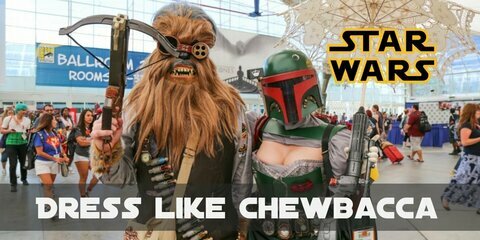 Cosplaying Darth Talon might be a little tricky. Here appearance is pretty unique. Although a Sith, she is actually a Twi’lek, a unique species characterized by so-called head-tails. Still, her skin is red and covered with common Sith tattoos. 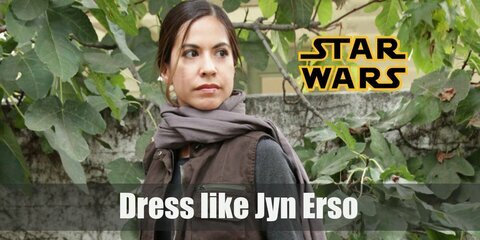 Cosplaying Jyn Erso would be a great choice. This character wears several very attractive pieces of clothes. She combines some common pieces of rebel uniforms with plenty of her signature details. 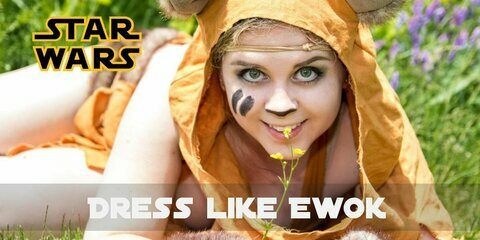 Cosplaying Ewok would be a perfect choice for kids, but adults could try as well. These small creatures have a pretty interesting "teddy bear" look. So making this costume is pretty much all about fur pieces of clothes. For kids, complete Ewok can be found. Known for its unique hirsute look, as well as unique sound, Chewbacca is one of the most favorable characters of the Star Wars franchise. He is a loyal friend and companion of Han Solo. 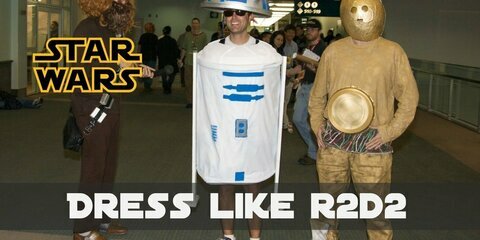 R2-D2 is a cylinder with three wheeled arms and capped off with half a sphere. Its color scheme includes predominantly white and blue with a few details in silver.